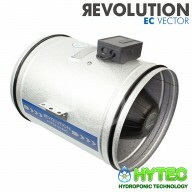 Revolution Silenced EC Fans are the ultimate in silenced hydroponic system fans. Designed and developed by Systemair to be the quietest and most efficient fans on the market; in addition to being and wrapped in a purposely designed acoustic housing. Evacuation of the hot and oxygen-depleted air from the culture chambers is essential for indoor cultivation because it avoids the suffocation of plants and the attack of pests and moulds that are fond of stagnant and humid air. The Revolution Silenced EC Fans white acoustic foam is specially designed to absorb noise without restricting the air flow. 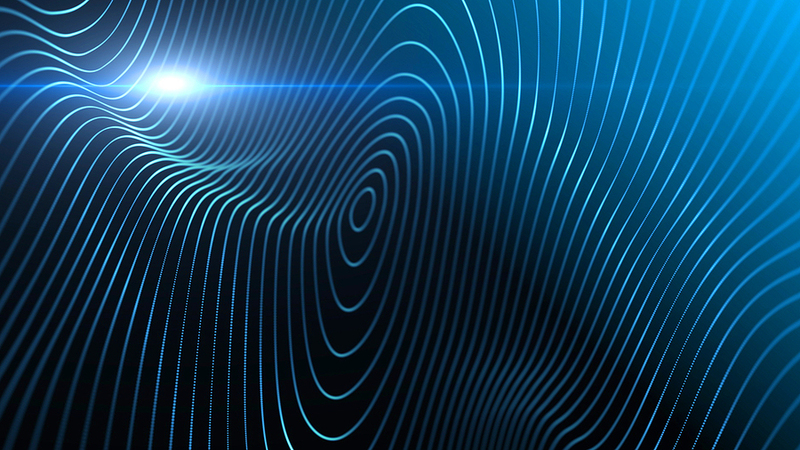 The foam is certified for use in air acoustics applications and does not absorb moisture or dust. In order to boost plant growth and maximise production (+50% yield! 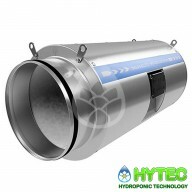 ), hydroponic cultivators use CO² injection to shorten crop cycle and raise grow to ideal 1200ppm. 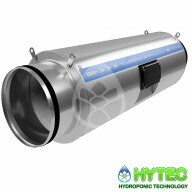 This technique consists of releasing carbon dioxide into the culture chamber and utilising carbon filter kits to open the pores of carbon to give it incredibly high organic absorption properties. 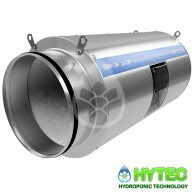 Through extraction/intraction and ventilation, the temperature of the culture chamber is controlled to a certain extent. For comprehensive management grow room heaters allow you to reach ideal levels of 23 °C (adequate range between 20 °C and 25 °C). 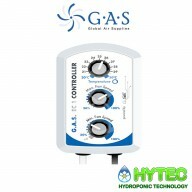 G.A.S EC1 CONTROLLER The GAS EC1 thermostatic speed controller is the perfect way to control your outtake EC fans. With a minimum and maximum speed control. Powered from the fans there is no need for a power pack. No need of extra power pack with active cable Control two EC fans with spli..
REVOLUTION STRATOS 150AC SILENCED ​The Revolution silenced fan is the ultimate in silenced fans.Systemair designed and developed the quietist most efficient fan on the market and wrapped it in a purposely designed acoustic housing. The white acoustic foam is specially designed to absorb noise ..
REVOLUTION STRATOS 200AC SILENCED 947 M3/H The Revolution silenced fan is the ultimate in silenced fans.Systemair designed and developed the quietist most efficient fan on the market and wrapped it in a purposely designed acoustic housing. The white acoustic foam is specially designed to absor..
REVOLUTION STRATOS 250AC SILENCED 2038 M3/H The Revolution silenced fan is the ultimate in silenced fans.Systemair designed and developed the quietist most efficient fan on the market and wrapped it in a purposely designed acoustic housing. The white acoustic foam is specially designed to abso..
REVOLUTION VECTOR 150EC SILENCED 796M3/H The Revolution silenced fan is the ultimate in silenced fans.Systemair designed and developed the quietist most efficient fan on the market and wrapped it in a purposely designed acoustic housing. 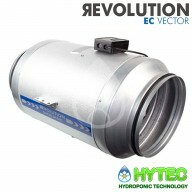 The white acoustic foam is specially designed to absorb ..
REVOLUTION VECTOR 200EC SILENCED 1332M3/H The Revolution silenced fan is the ultimate in silenced fans.Systemair designed and developed the quietist most efficient fan on the market and wrapped it in a purposely designed acoustic housing. The white acoustic foam is specially designed to absorb..
REVOLUTION VECTOR 250EC SILENCED 1822M3/H The Revolution silenced fan is the ultimate in silenced fans.Systemair designed and developed the quietist most efficient fan on the market and wrapped it in a purposely designed acoustic housing. The white acoustic foam is specially designed to absorb..
REVOLUTION VECTOR 250L EC SILENCED 2077M3/H The Revolution silenced fan is the ultimate in silenced fans.Systemair designed and developed the quietist most efficient fan on the market and wrapped it in a purposely designed acoustic housing. The white acoustic foam is specially designed to abso..
REVOLUTION STRATOS 315AC SILENCED 3812 M3/H Efficient, quiet and effective – the Super Silent Revolution 315 AC fan brings high power to the Revolution Stratos AC range. In development for several years by industry leader Systemair, the Super Silent Revolution 315 AC unites the reliability and..
REVOLUTION VECTOR 315EC SILENCED 2163M3/H The Revolution silenced fan is the ultimate in silenced fans.Systemair designed and developed the quietist most efficient fan on the market and wrapped it in a purposely designed acoustic housing. The white acoustic foam is specially designed to absorb..
REVOLUTION VECTOR 315EC SILENCED 3784M3/H The Super Silent EC Revolution fan combines power and efficiency with peace and quiet. Manufactured in Europe with state of the art EC technology, the Super Silent Revolution is the most reliable, durable and quietest extractor fan for your indoor cult..